In the next four minutes, you'll see more Minecraft skins than you can shake a wooden pick-axe at. 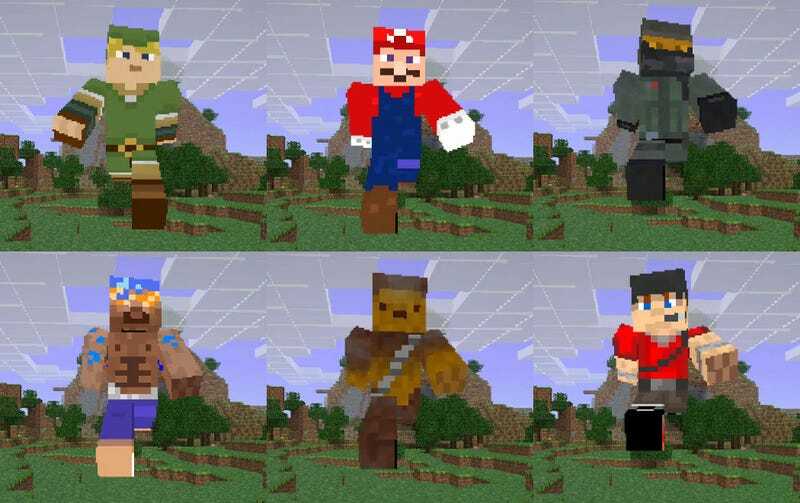 It's testament to both the creativity of Minecraft's players and the flexibility afforded the game that in a 3:43 space we get Colonel Sanders, Mario, Darth Vader, Soundwave, a soldier from Half-Life, Batman, Vault Boy, Dr. Zoidberg and...Creepers ready for a day at the beach. The ability to create custom skins for your character is available only to those who cough up and pay for the game, so if you want to do what these guys have done, go grab a copy before the price gets jacked up!